Zionism Unveiled: EXPLOSIVE NEW BOOK! Drawing almost entirely from Jewish documents, the first volume of this series (1991) revealed the Jewish role in the trans-Atlantic slave trade. 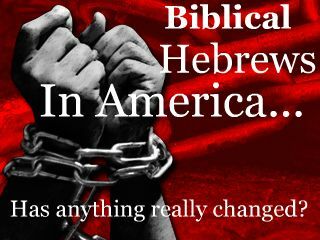 Jews came to the Americas and became slave traders, auctioneers, plantation owners, and slave shippers. They became important merchants and financiers in the American South and helped to grease the wheels of the plantation economy, making slavery more profitable than ever. 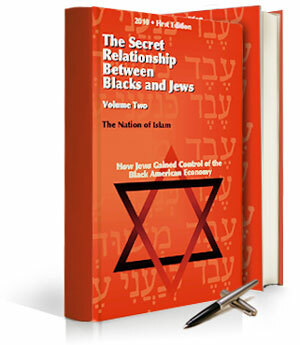 Volume Two of The Secret Relationship Between Blacks and Jews reveals that as merchants and businessmen, Jews gained much in a repressive Jim Crow society. 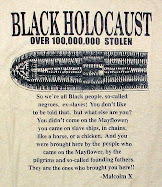 In fact, this new book answers the provocative question, If Blacks did not receive the 40 acres and a mule, then who did? Jews openly spoke of the benefits of scapegoating Blacks in the South, and Jewish politicians helped create and enforce the Jim Crow laws that kept Blacks from developing an economic foundation. Jews even altered the practice of their religion to accommodate the racist Southern traditions. Jewish merchants in the post-Civil War South were leaders in the financial exploitation of the newly freed slaves, targeting the Black cotton sharecroppers and growing extremely wealthy in the process. Many notable Jewish families and institutions, including the Lehman Brothers, Neiman Marcus, and even the infamous Rothschild family of international bankers, can trace their wealth to the cotton fields of the American South. Under Jewish leadership, AFL unions became the instrument of white working-class racism and began systematically forcing Black workers out of a variety of occupations they once dominated. Many Jewish labor officials fought for government policies that sought the total removal of Asians from American soil. Shockingly, Jews were found collaborating with and even financing such racial terrorists as the Ku Klux Klan. Jews became Klan members and some even supplied the Klan with guns, sheets, and hoods. When lynchings and massacres occurred in America, Jewish leaders often praised these outrages, and some in the Jewish press cheered them on. Volume 2 contains thousands of quotations and footnotes, cites Jewish scholars, rabbis, and Jewish newspapers, and includes maps, diagrams, charts, photographs, an index, and a bibliography. Publisher: Nation of Islam; First Edition (July 14, 2010)-Date Revised by Editor.